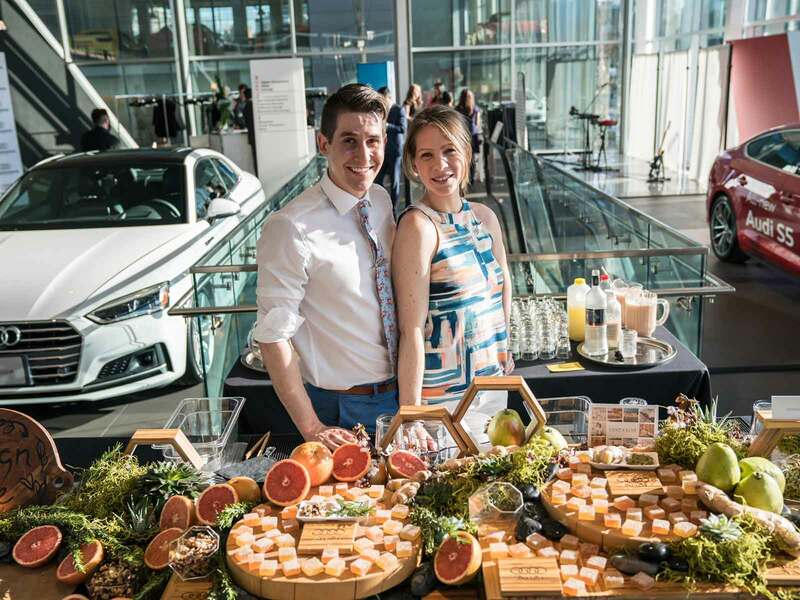 Regardless of what type of experiential marketing event you put on, one of the key factors to ensure its success is having high quality staff to execute the event. The staff that run your event need to go beyond smiling and answering common questions. To truly make the experience memorable for your target audience, you need a knowledgeable, passionate team of brand ambassadors that knows how to engage your audience and guide consumers towards the path of becoming customers. At UB Marketing, we can provide you with professional staff who are thoroughly versed in your brand’s voice and personality, understand your product or service offerings, and recognize the role they play in fulfilling your brand’s goals. We can offer staff from diverse backgrounds with a variety of skill sets including brand ambassadors, promotional models, bartenders, servers, certified demo-ers, and performers. Whether your brand is looking to staff a brand activation, a conference, or a tradeshow, UB can help you with all of your event staffing needs. Building New Relationships with Customers. It might be beyond the bandwidth of your team to execute or attend your experiential marketing activities, and therefore your team may not be able to address every potential customer that comes through your brand activation. With a carefully staffed roster, you have a specially trained team to help create new relationships with potential customers. No need to worry about missing anyone! Reducing Opportunity Cost For Your Team. Your team’s time is precious. Leveraging Brand Ambassadors can help filter leads to ensure your team’s time is spent addressing warm leads. This reduces your team’s’ chances of wasting their time or emotional energy on an uninterested customer when it could be better spent elsewhere. Minimize Staffing Strain. Having a carefully selected staff eliminates the quality concerns of turning to external volunteers and removes the strain on your team of running the event. It minimizes the risk of relying on family or friends that may not show up and leave you short staffed. Outsourcing event staffing ensures there are resources to find last-minute replacements efficiently and aren’t left in a predicament. Leveraging Specific Expertise & Skill Sets. Our staffing services ensure you’ll have quality agents that are comfortable reaching out to new people and are able to effortlessly initiate a conversation. Depending on the needs of your event, staffing services can ensure that agents have the optimal skill set to engage with your audience.